EUROSTAT has issued its 2017 edition that provides an updated snapshot of the current situation concerning a selected number of SDG-related indicators. In the case of four goals — SDG 6 'clean water and sanitation', SDG 13 'climate action', SDG 14 'life below water' and SDG 16 'peace, justice and strong institutions' — trends could not be calculated due to insufficient data over the past five years. The 2030 Agenda for Sustainable Development and its 17 Sustainable Development Goals (SDGs) and 169 targets were adopted by the United Nations (UN) in September 2015. These goals stirred global efforts to achieve sustainable development, within which the EU commits to play an active role to maximize progress towards the SDGs as stated with the Commission Communication on “Next steps for a sustainable European future” (COM(2016)739). Kurkowiak, Barbara et al. (eds.) 2017: Sustainable Development in the European Union. 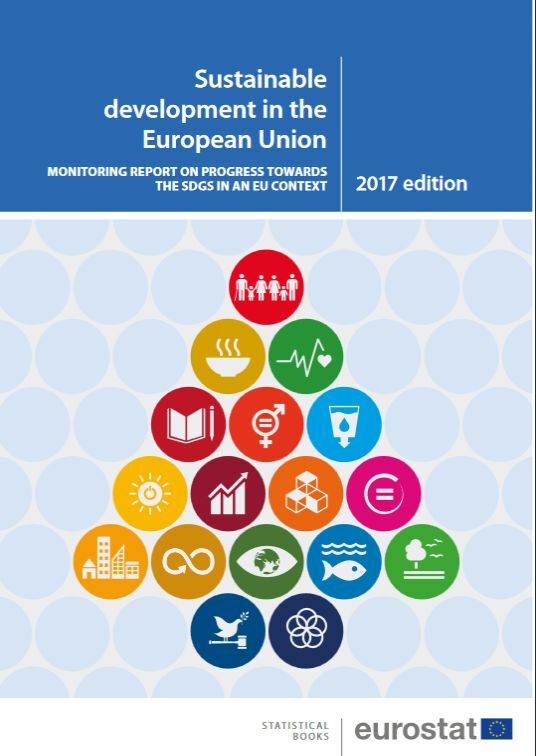 Monitoring Report on the Progress Towards the SDGs in an EU Context. [eurostat Statistical Books 2017 edition]. Luxembourg: Publications Office of the European Union.